Our fall session of Life Group begins tomorrow at Ron and Jan Waters home at 6:30. As always, dinner is provided. 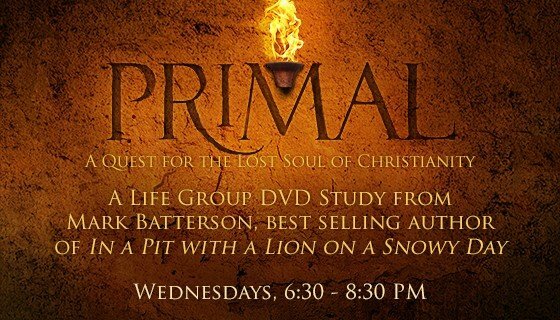 Join us as we kick off our study of “PRIMAL” by Mark Batterson. This is going to an exciting series as we look to rediscover the lost soul of Christianity by examining what it really means to “‘Love the Lord your God with all your heart and with all your soul and with all your strength and with all your mind.” Luke 10:27. For information or to sign up email us at info@lifechurchcalvert.com!